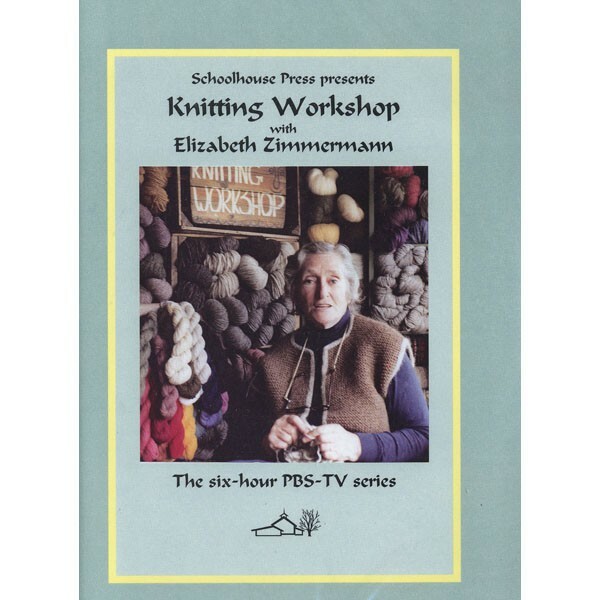 Elizabeth Zimmermann's Knitting Workshop is a series of 12 video lessons originally aired on PBS, as a companion to her book of the same title. Ranging from beginnings (casting on, increasing, decreasing and color work) to Master classes (aran and fair isle sweaters, shoulder shapings, steeks and more), you will be engaged and entertained by Elizabeth's relaxed, conversational teaching style. 6 hours. Elizabeth's videos were produced in the early 1980s and digitized from their masters; production quality is relative to time period and high-speed Wi-Fi is necessary for the best streaming quality.